No more excuses, eating breakfast is uber important! 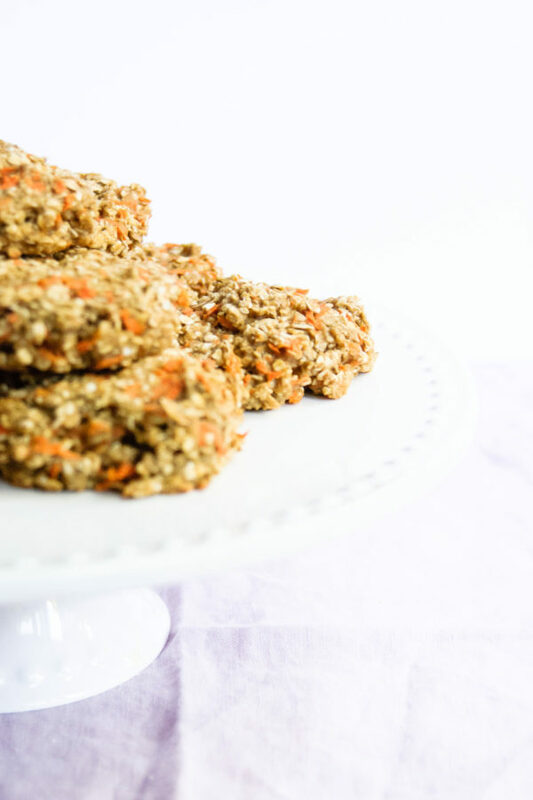 Make these Healthy Oatmeal Carrot Breakfast Cookies and you’ll have breakfast ready and a good morning energy boost every day of the week! Confession: I normally do not eat breakfast during the week. I wake up, shower, get dressed (maybe do my makeup), pack my lunch, make coffee and go. No breakfast. Maybe a granola bar at 10:30-11:00am when I’m starving and it’s way too early for lunch, but otherwise nothing close to what you can consider breakfast. Why don’t I typically eat breakfast during the week? It’s not a time thing, more of an “I can’t eat because I’m a bit nauseous” thing. Weird I know – but it is what it is and I’ve been this way for YEARS. I decided to change my no breakfast habit, and I am so happy I did. Not only do I not have this intense hunger in the middle of my morning, but I find myself having more energy, not really craving not-so-healthy food in the afternoon (or late at night), I don’t get headaches on my way home before supper, AND I find one serving at dinner just enough, I don’t need to go back for seconds. These are all super positive! One catch, I still don’t eat breakfast before I leave in the morning, the nauseous thing is still an issue. 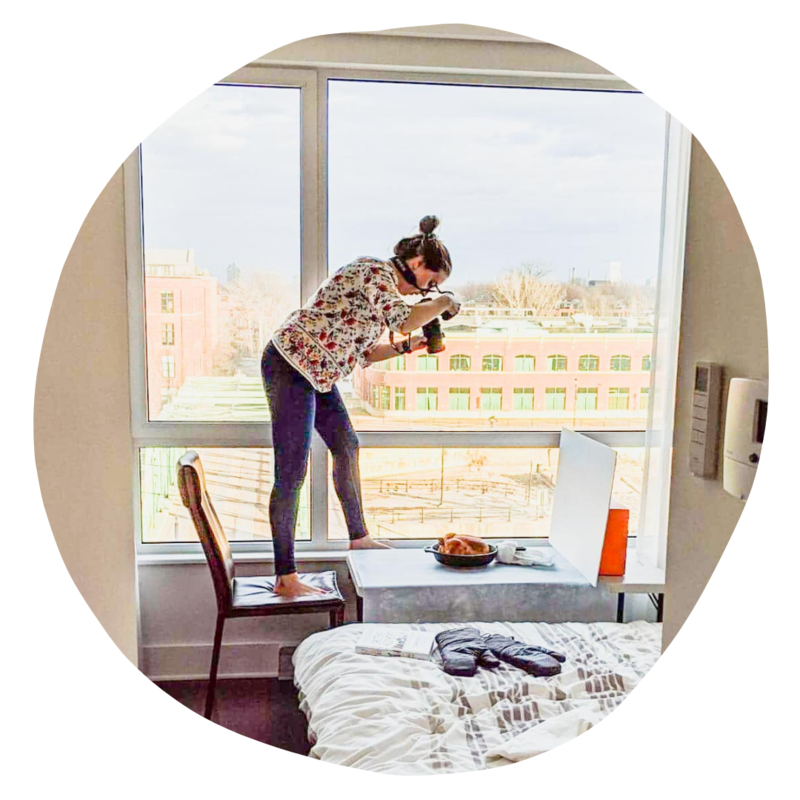 Instead, I eat it on the train into town or at my desk while reading emails around 8:30am, once I’ve set up my laptop and launched a couple of experiments in the lab. There’s a problem with this though. Because I eat my breakfast, for the most part, on the go, I am limited in my choices. You don’t want anything too smelly because you’re on public transit – I give evil eyes to anyone who dares to eat McDonald’s breakfast on the train, it just smells SO GOOD. And I also don’t want anything too complicated to eat. 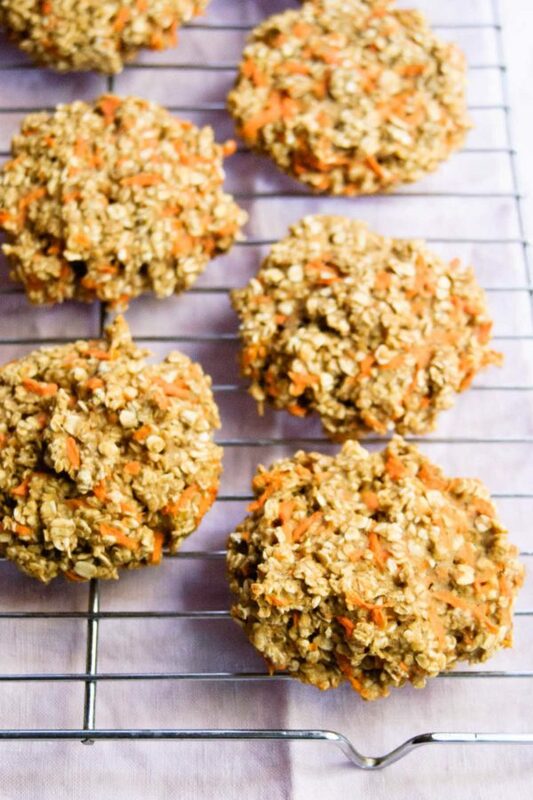 Better solution: Healthy Breakfast Cookies!!! 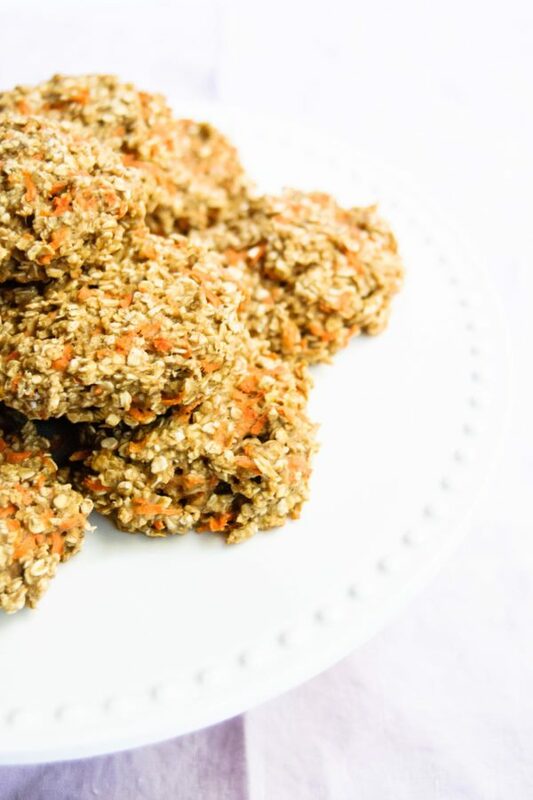 Also, in addition to them having no refined sugar, they are also pretty low calorie (if you’re worried), and for an “instead of eating a bowl of oatmeal” breakfast these cookies are pretty tasty! I’ve had some for breakfast every day this week! No more excuses, eating breakfast is uber important! 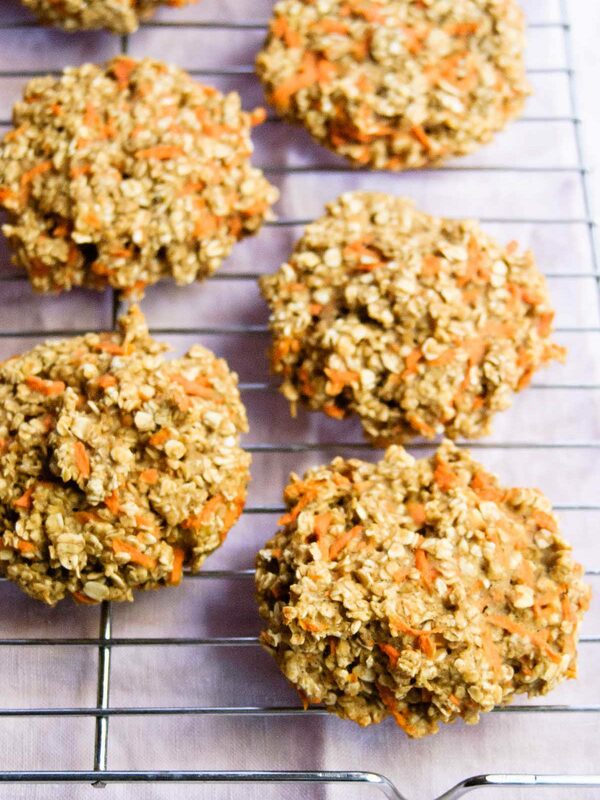 Make these Healthy Oatmeal Carrot Breakfast Cookies and you'll have breakfast ready and a good morning energy boost every day of the week! Preheat oven to 350F and line a baking sheet with parchment paper or a liner. 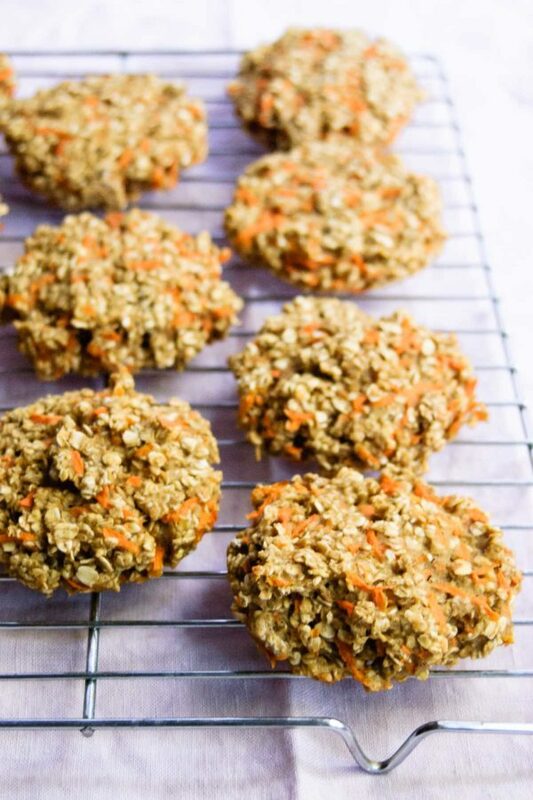 In a large bowl, combine the oats, flour, baking powder, spices and salt. 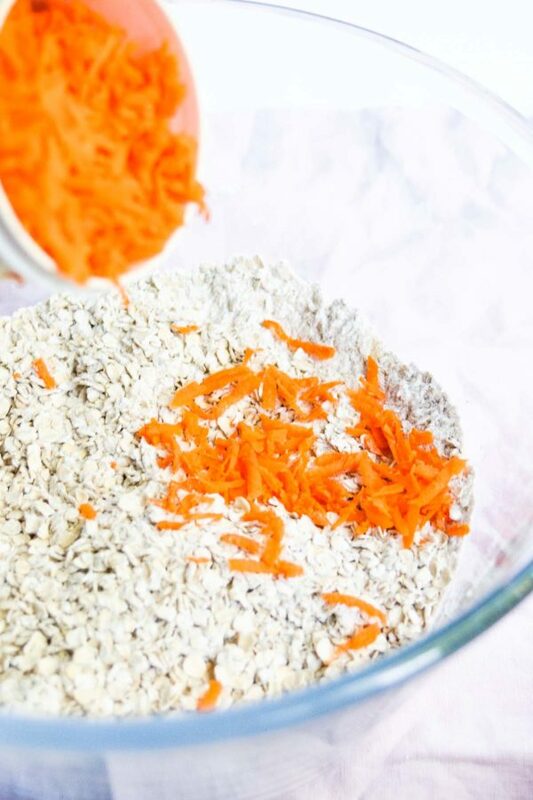 Then mix in the grated carrot. 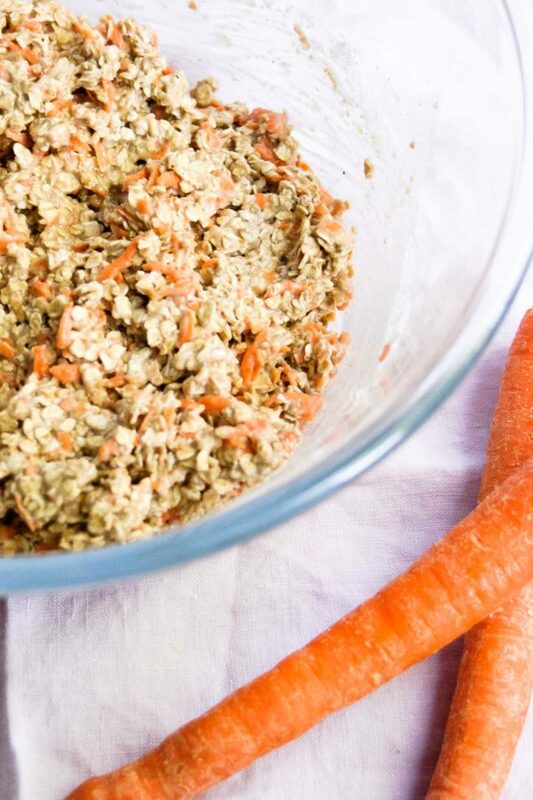 In a separate bowl whisk the rest of the ingredients together and then add to the dry mixture, combine well. Flaten out the dough in the bowl and imagine it quartered, you need to get 3 cookies out of each quarter (this is how I measure my dough per cookie it's usually about 1/4 cup dough per cookie). 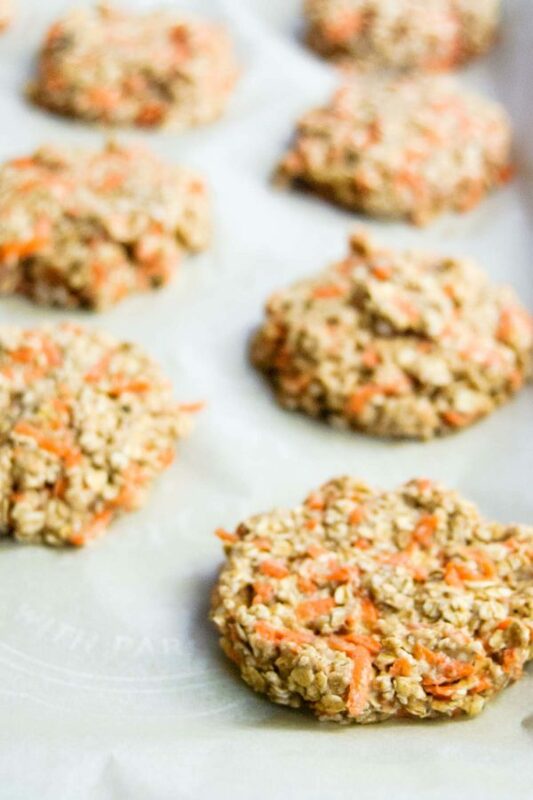 Then roll the dough into a ball and flatten on the cookie sheet to about 1/2-inch thick. Bake for 18 to 20 minutes, or until nice and golden. Let cool on wire rack and store in an airtight container.